QUT Phd student Mark Bliandzic ran a High Speed Photography workshop at our 2nd Birthday celebration. He kindly put together this post explaining how it went. 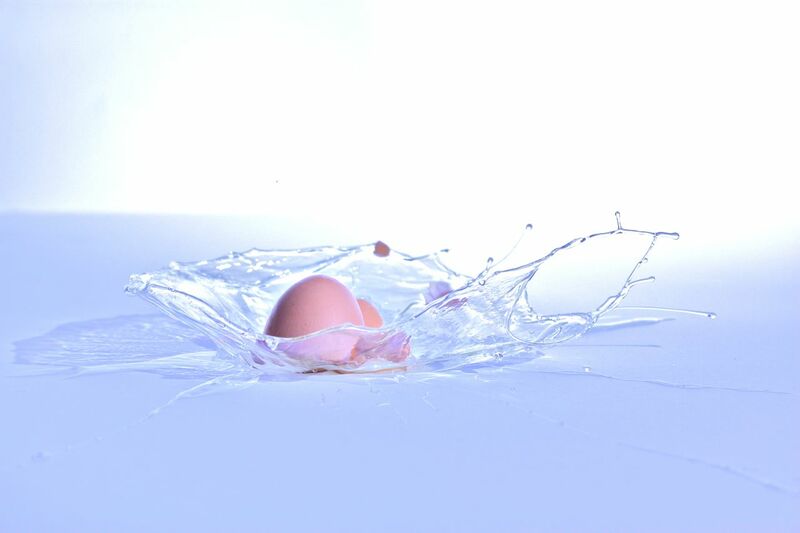 High Speed Photography is a technique for taking pictures of phenomena that are usually too fast to be visible to the human eye. Ever wanted to take a snapshot of a smashing window or exploding water balloon? This is where you’ll need the techniques described below. If you want to freeze moments in a picture, you would normally select a high shutter speed. However, depending on the speed of the object that you are trying to capture, the mechanical system of the camera might be too slow. Therefore, in high-speed photography settings you can use a little trick: bypass the mechanical shutter, and freeze your image with a flashlight. The downside is that you need to be in a relatively dark environment with as low ambient light as possible. Set the shutter to long exposure, e.g. 5 seconds or longer (it doesn’t really matter as you are in a dark room and no ambient light is captured by the sensor anyways). Now the flash needs to be triggered at the same time the event happens. 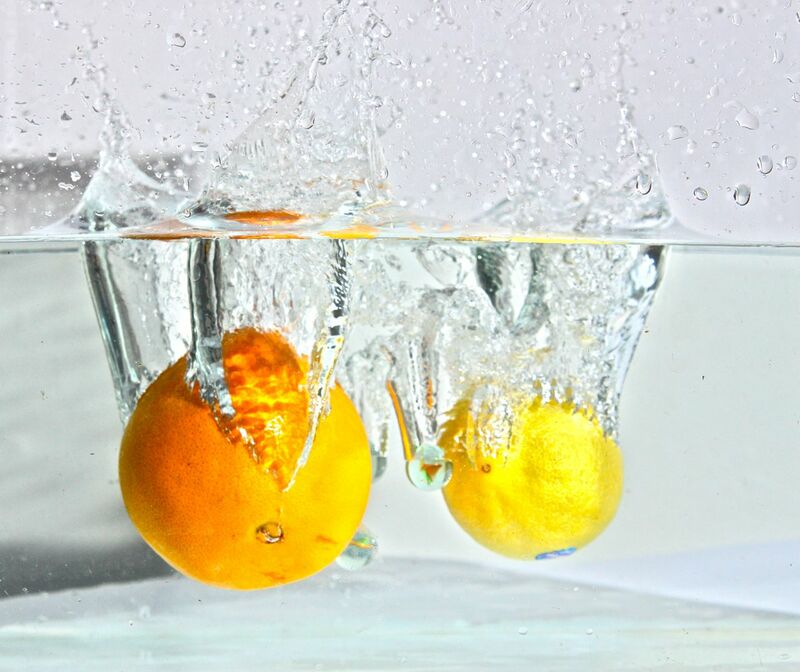 If you’re throwing lemons into a glass of water for example, and want to capture the moment of the lemon diving in and splashing water, you may be able to do this by manually triggering the flash. You will probably need a couple of test runs, but eventually you’ll manage to trigger the flash simultaneously to the event and get a nice shot. If you want to play with different light/shadow effects, you’ll need to take that flash off the camera. Check out the “Lighting 101 Series” on the Strobist Blog , it’s probably one of the best and most efficient resources on the web to get started with flash photography. In order to trigger your flash in the manual scenario, I use the Yongnuo RF-602 Wireless Flash Trigger. It has great test results and is the best bang for bucks in amateur-photography world. You’ll find them on ebay for ca. 40 AUD a transceiver/receiver pair. For capturing faster events, e.g. an exploding water balloon, it’ll be very hard to capture the event by manually triggering the flash. Therefore, you’ll need a microcontroller / sensor installation that fires the flash automatically when it senses an event. For the exploding balloon example, you would probably use a microphone to trigger the flash as soon as it hears the balloon exploding (find a great video tutorial here). In this workshop I use a laser-light gate to sense when the object passes a particular spot (e.g. when hits the ground), and an Arduino microcontroller, an optoisolator and PC-synch cable to fire the flash automatically according to the laster-gate. 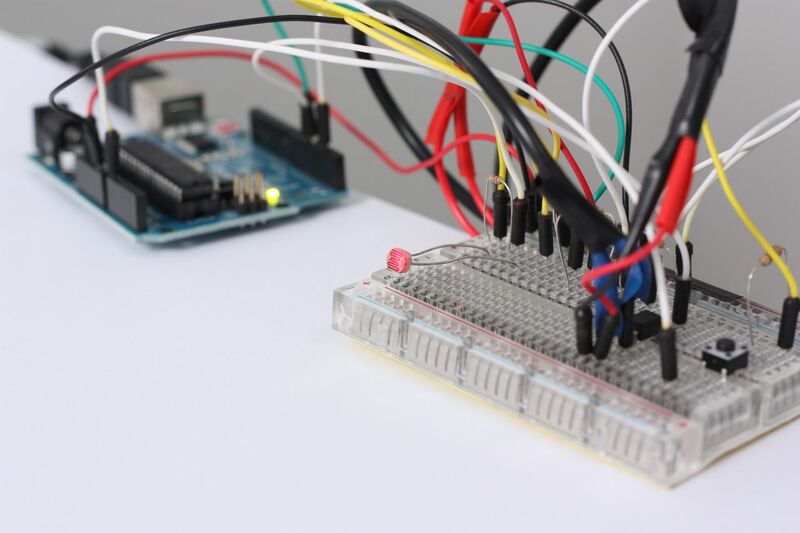 Check out this tutorial on how to control a flashlight through an Arduino, and further schematics and Arduino sketch to fire sensor triggered flash events. The video below shows the first development stage; the flashlight is triggered through an Arduino, by sending it a spacebar character through the computer’s serial port. Later the computer is replaced by a laser light-gate as a trigger input. What’s the picture taking process? 2. Set a 10 sec exposure time, and trigger the camera. You can set shorter or longer exposure, just make sure it gives you enough time to trigger the event that you want to capture. 3a. for fast, but not very fast events: Trigger your event and your flashlight simultaneously. Thanks Mark – it was a great course. Very interesting and good fun too!